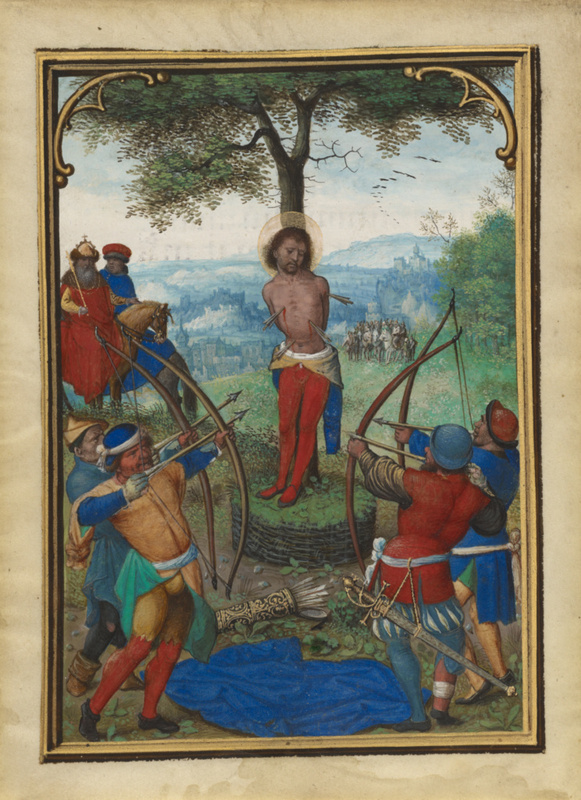 This leaf from the Munich-Montserrat Hours depicts the first attempt to kill Saint Sebastian. The emperor Diocletian, who ordered the saint's execution, watches from horseback as his soldiers mercilessly shoot arrows at Sebastian. 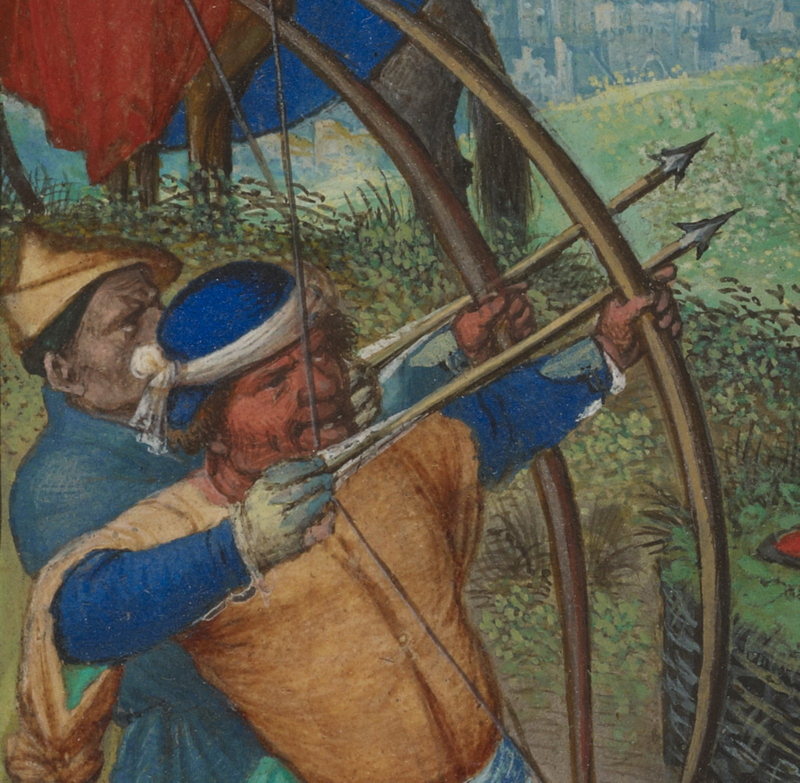 Although the saint miraculously survived the ordeal, he was eventually beaten to death. The saint's stance here--tied to a column and defenseless--purposefully recalls traditional images of Christ's flagellation, when Jesus was tied to a column and beaten. The detailed yet expansive landscape seen in the background was one of the hallmarks of Simon Bening's late style.